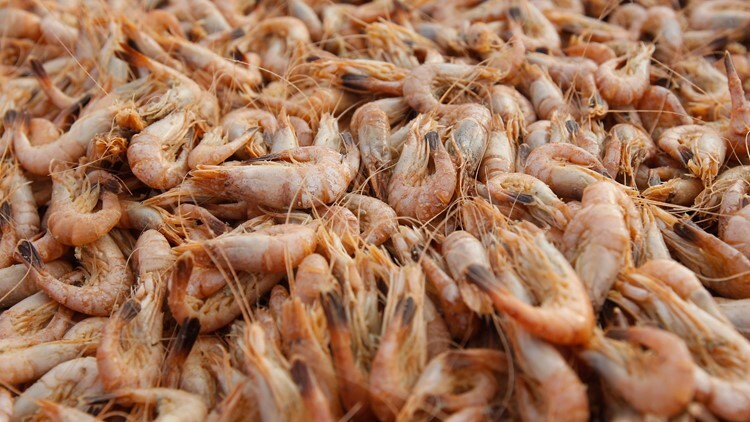 Warmer winters are sending shrimp further north, bringing about 20,000 pounds of shrimp to the shores of the Outer Banks. COROLLA, N.C. (AP) - Scientists say warmer winters are sending shrimp further north, contributing to surging hauls off the coast of North Carolina. The Virginian-Pilot reports that trawlers have clustered within 3 miles of shore in the Outer Banks, each bringing in as much as 20,000 pounds of shrimp per trip. The manager of O'Neal's Sea Harvest, Ashley O'Neal, says the Capt. Ralph hauled in a crew record of 30,000 pounds last week. North Carolina shrimpers broke records in 2016 and 2017.